Last week during my grammar and writing class, I invited a couple of my students, Fley and Jerome, to join me, the teachers, and other students in celebrating the birthday of Liz, one of the teachers of our school, the American Institute for English Proficiency. In normal Filipino fashion, Jerome first rejected the invitation with the typical Filipino excuse: he’s busy. Fley chimed in with the same reason: she’s busy too. In reality, they didn’t mean that they were busy. What they really meant was that they had other plans already. Jerome had a date to go to Something Fishy, a buffet restaurant in Eastwood where I live, and he wanted to try the Php 199 breakfast buffet. Fley already planned a badminton game with her friends, and this would be their third week in a row, and she couldn’t miss it. Therefore, what they truly meant was that they had other priorities. I proceeded to teach them that being busy and having other priorities were completely two different terms. I tried convincing them to prioritize Liz’s birthday, but I was unable to. I told Jerome that he could always go to the buffet anytime, and I told Fley that she could always play badminton on the weekends with her friends, but Liz’s birthday happens only once a year. I know that these two students are also dealing with confidence issues, so I told them coming out with us for the night would be a nice change, and it would definitely help boost their confidence. However, I could not manage to convince them. In one final attempt, I told them that being happy was sometimes doing something out of one’s comfort zone. Sometimes, we have to do activities that we wouldn’t normally do to get us out of routine. I also mentioned to them that we always need to constantly challenge ourselves. I gave them examples of how I had been so comfortable with being a teacher and co-founder of the American Institute, but now, I was forming a youth empowerment group with four other Filipino entrepreneurs and community leaders. Still, I could not manage to convince them. One great thing that came out of our conversation, though, is one writing assignment. As we started talking about being happy, I mentioned to them that I had seen on my Facebook news feed about the Happiness Project. As a part of the class, we would write, instead of 100 days of Happiness, 100 moments of happiness, to put our own take on it. We don’t need to write daily for 100 days; we just need to write about 100 moments. Why do this? One, it will help my students develop a writing habit. Two, it would help them be happier by focusing on the positive moments they encounter each time. To do this assignment, they simply need to write at least 300 words or more about the their happy moments, and they could include one to as many moments they want in a single blog post. Fley will be using her own blog, and Jerome will be writing his happy moments on the American Institute’s blog, The Five Elements. 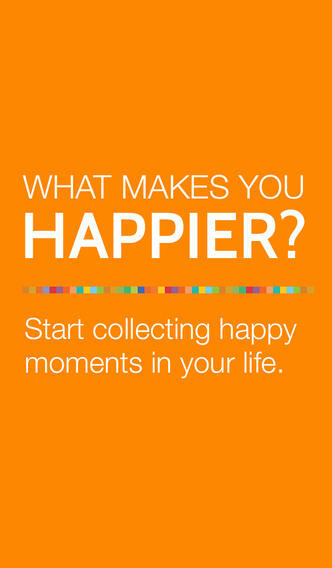 Next, make sure to use the hashtag, #100MomentsofHappiness whenever posting on Facebook, Twitter, or Instagram. We are hoping as well that others would follow suit. If you would like to participate, you may simply do so by posting your name and your blog in the comment section below. If you do not have a blog, you can get an account at The Five Elements. Simply let me know in the comment section below. You don’t have to blog about it as well; you can also just post on Facebook.